Now the man knew his wife Eve, and she conceived and bore Cain, saying, "I have produced a man with the help of the LORD." Next she bore his brother Abel. Now Abel was a keeper of sheep, and Cain a tiller of the ground. In the course of time Cain brought to the LORD an offering of the fruit of the ground, and Abel for his part brought of the firstlings of his flock, their fat portions. And the LORD had regard for Abel and his offering, but for Cain and his offering he had no regard. So Cain was very angry, and his countenance fell. The LORD said to Cain, "Why are you angry, and why has your countenance fallen? If you do well, will you not be accepted? And if you do not do well, sin is lurking at the door; its desire is for you, but you must master it." Cain said to his brother Abel, "Let us go out to the field." And when they were in the field, Cain rose up against his brother Abel, and killed him. Then the LORD said to Cain, "Where is your brother Abel?" He said, "I do not know; am I my brother's keeper?" And the LORD said, "What have you done? Listen; your brother's blood is crying out to me from the ground! And now you are cursed from the ground, which has opened its mouth to receive your brother's blood from your hand. When you till the ground, it will no longer yield to you its strength; you will be a fugitive and a wanderer on the earth." Cain said to the LORD, "My punishment is greater than I can bear! Today you have driven me away from the soil, and I shall be hidden from your face; I shall be a fugitive and a wanderer on the earth, and anyone who meets me may kill me." Then the LORD said to him, "Not so! Whoever kills Cain will suffer a sevenfold vengeance." And the LORD put a mark on Cain, so that no one who came upon him would kill him. Then Cain went away from the presence of the LORD, and settled in the land of Nod, east of Eden. For the one who sanctifies and those who are sanctified all have one Father. For this reason Jesus is not ashamed to call them brothers and sisters, saying, "I will proclaim your name to my brothers and sisters, in the midst of the congregation I will praise you." And again, "I will put my trust in him." And again, "Here am I and the children whom God has given me." Since, therefore, the children share flesh and blood, he himself likewise shared the same things, so that through death he might destroy the one who has the power of death, that is, the devil, and free those who all their lives were held in slavery by the fear of death. For it is clear that he did not come to help angels, but the descendants of Abraham. Therefore he had to become like his brothers and sisters in every respect, so that he might be a merciful and faithful high priest in the service of God, to make a sacrifice of atonement for the sins of the people. Because he himself was tested by what he suffered, he is able to help those who are being tested. The next day he saw Jesus coming toward him and declared, "Here is the Lamb of God who takes away the sin of the world! This is he of whom I said, 'After me comes a man who ranks ahead of me because he was before me.' I myself did not know him; but I came baptizing with water for this reason, that he might be revealed to Israel." And John testified, "I saw the Spirit descending from heaven like a dove, and it remained on him. I myself did not know him, but the one who sent me to baptize with water said to me, 'He on whom you see the Spirit descend and remain is the one who baptizes with the Holy Spirit.' And I myself have seen and have testified that this is the Son of God." The next day John again was standing with two of his disciples, and as he watched Jesus walk by, he exclaimed, "Look, here is the Lamb of God!" The two disciples heard him say this, and they followed Jesus. 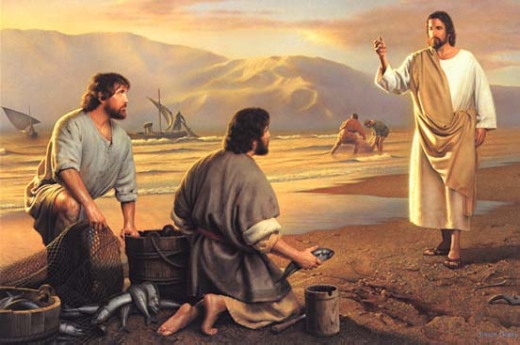 When Jesus turned and saw them following, he said to them, "What are you looking for?" They said to him, "Rabbi" (which translated means Teacher), "where are you staying?" He said to them, "Come and see." They came and saw where he was staying, and they remained with him that day. It was about four o'clock in the afternoon. One of the two who heard John speak and followed him was Andrew, Simon Peter's brother. He first found his brother Simon and said to him, "We have found the Messiah" (which is translated Anointed). He brought Simon to Jesus, who looked at him and said, "You are Simon son of John. You are to be called Cephas" (which is translated Peter). God of love, source of mercy and compassion, weave your dream for the world into the fabric of our lives. Remove the scales from our eyes and lift the indifference from our hearts, so that we may see your vision – a new reign of justice and compassion that will renew the earth. Transform our lives, so that we may accomplish your purpose. Anoint us with your spirit of love that we might bring good news to the oppressed, bind up the brokenhearted, and proclaim release to the captive. Give us a new urgency and a new commitment to feed the hungry, clothe the naked, shelter the homeless, and visit those who live in isolation. Help us to reach out to those whom no one else will touch, to accept the unacceptable, and to embrace the enemy. Surround us with your love, fill us with your grace, and strengthen us for your service. Empower us to respond to the call of Jesus – to deny ourselves, to take up our crosses, and to follow. "He is the one we proclaim, admonishing and teaching everyone with all wisdom, so that we may present everyone fully mature in Christ." As Christians, we have heard what is known as the Great Commission: “Therefore go and make disciples of all nations, baptizing them in the name of the Father and of the Son and of the Holy Spirit, and teaching them to obey everything I have commanded you” (Matthew 28:19–20). Let me ask you something: What if the whole church were just like you? What if every Christian behaved exactly as you behave? What kind of worship service would we have? What kind of prayer meetings would we have? How many people would be reached with the gospel of Jesus Christ? Would there be any resources to use to get the gospel out? If the whole church were just like you, would we be a biblically illiterate church, or would we be a grounded, well-taught church? I bring this up because you are called to reproduce yourself as a Christian. 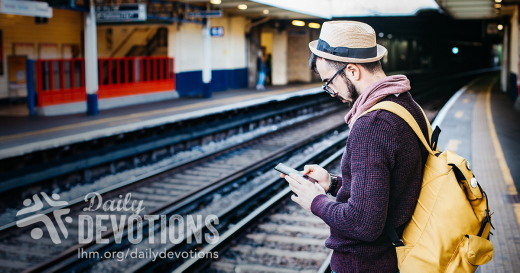 You should be making disciples of Jesus, and they will learn by following your example. Maybe you feel sometimes that it doesn’t really matter. You try to impart the truths God has given to you to other believers, but you don’t know where it will go. But you have to be patient, because you may not realize the full impact of what you have done, even in this life. You might reach someone today who will reach their world tomorrow. The person you take under your wing may be the next man or woman who shakes the world. Just be diligent in what God has set before you. Scripture taken from the Holy Bible, New International Version®, NIV® Copyright ©1973, 1978, 1984, 2011 by Biblica, Inc.® Used by permission. All rights reserved worldwide. The person you take under your wing may be the next to shake the world. No se inquieten por nada; más bien, en toda ocasión, con oración y ruego, presenten sus peticiones a Dios y denle gracias. Por favor, no te levantes repitiendo un viejo refrán: «Estoy salado. ¡Hoy no es mi día!». Hoy es el día que Dios hizo para ti y para mí. 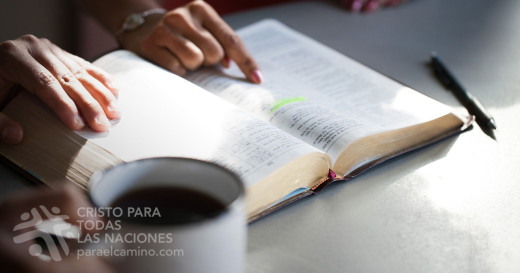 Lo hizo con tanto amor que Él dice en el Manual de Instrucciones que las misericordias de Dios «nuevas son cada mañana» (Lamentaciones 3:23, RV-60). No todos los días son buenos ni son malos. Solo que cada uno es diferente y tiene sus propias preocupaciones. Sin embargo, tú eres el chef que le da la sazón. Tener problemas, preocupaciones, levantarte y ver el día nublado, no debe determinar tu felicidad. Esto parece fácil, pero no lo es cuando estamos en días difíciles. En medio de mis pruebas aprendí a mantener el gozo. Así que un día llevé de mi mente al corazón lo que quizá has escuchado y repetido muchas veces: «El gozo del Señor es nuestra fortaleza» (Nehemías 8:10). O sea, que si a pesar de lo que estoy viviendo, entiendo y practico este principio, el resultado va a ser que mi día será mucho mejor y voy a poder sentirme feliz aunque esté pasando por un momento de preocupación. Esta actitud es precisamente lo determinante ante la vida. Así que cambia los pensamientos negativos por pensamientos positivos y busca a Dios con todo el corazón. De ese modo, notaras la diferencia. Sentirás que ese día que parecía imposible de sobrevivir, fue uno liviano y hasta feliz. When the storm has swept by, the wicked are gone, but the righteous stand firm forever. “I was the only convert of a man who died thinking he was useless to God. Both our crimes were for violent robbery and we actually shared a prison cell together. “He told me about how—by mistake—he had been placed into a cell with a group of Christians. They were singing hymns at night and praising God together. He saw them as a soft touch and robbed them of their food parcels. He even beat them to show who was boss. For the first time in years he felt powerful again. But somehow they were not afraid of him and repeatedly shared their faith in Christ. “One night the prison was overcrowded and I was put into his cell. I could see he was far-gone, barely conscious. He beckoned me close to his lips told me all about Jesus and how He loved me and wanted to save me. “When I woke up in the morning, he was cold and dead. I was to be moved to a hard labor camp that day but the truck that was to take me there broke down. So I ended up in another cell—the one full of Christians. “My truck was delayed a week. In that time the Christians told me the whole story about this man. They were delighted to learn he had witnessed to me before he died. The night before I was moved, I too trusted Christ. RESPONSE: Today I will live in the awareness and peace that God has everything under control—no matter what storms I face. PRAYER: Pray that all those living in conditions as described above will also understand God’s purposes for their lives and realize the strength and meaningfulness in suffering for Christ. Now as they went on their way, He (Jesus) entered a certain village, where a woman named Martha welcomed Him into her home. She had a sister named Mary, who sat at the Lord's feet and listened to what He was saying. But Martha was distracted by her many tasks; so she came to Him and asked, ‘Lord, do you not care that my sister has left me to do all the work by myself? Tell her then to help me.’ But the Lord answered her, ‘Martha, Martha, you are worried and distracted by many things; there is need of only one thing. Mary has chosen the better part, which will not be taken away from her’. As I watched the movie “Twister,” I was reminded of the small Texas town where I grew up. Tornadoes were a common occurrence in Brownwood. When ominous dark clouds gathered and the possibility of tornadoes increased, warning sirens screamed a warning, and everyone headed for the nearest shelter. Our shelter was an old, musty storm cellar in the back yard where my family huddled until the “all clear” siren sounded. I hated storms and always hoped that each storm would be the last storm. It never was. Life is filled with storms – overcrowded schedules, emotional bankruptcy, and physical exhaustion. Emotions spin out of control and chaos reigns. My first reaction is to run and hide until the storm passes. But I have come to two realizations. First, there will always be another storm. Second, I must learn to prepare for storms before they hit. Most women I know struggle with this issue of balance. It’s hard to set and keep boundaries in place. We end up just doing “the next thing.” Balance becomes a casualty of this ongoing battle. Frustration and darkness prosper in an imbalanced life, thriving on the vacuum of clear purpose and sure direction. The solution is to establish a holy balance, a balance that only God can bring. The lives of Mary and Martha offer a profoundly simple but practical three-step plan for living a balanced life of power and purpose. Martha is a girl after my own heart. A perfectionist and recognized by all who knew her as disciplined, strong-willed, and energetic, Martha seemed to know who she was and where she was going. Because of her leadership in the community, people listened when she spoke. Martha was single, financially secure, and owned her own home, which she shared with her sister Mary, and their brother Lazarus. They were a close family living in a small town named Bethany just outside Jerusalem. Martha could have been considered the “Betty Crocker” of Bethany. She had the gift of hospitality and entertained often, freely welcoming friends as well as strangers into her home. Religious leaders, business executives, and virtually anyone in need, including her close friend Jesus, knew they had an open invitation to this home. Martha seemed to be an intense woman with deep feelings and sure convictions. She loved truth and was quick to share her strong beliefs, the mark of an unwavering faith. Martha certainly had faults just as we do. I am convinced that, at times, she may have missed some of the higher moments of life because she was “too busy.” Sound familiar? Mary, the sister of Martha, is an entirely different story. She lived for the higher moments in life. A free spirit, Mary probably saw little value in a clean house, cooked meals, and strict schedules. Nothing could compare to the cherished treasures of peace and freedom. I don’t think Mary missed many of the “Kodak moments” of life. I suspect she was an avid learner who thrived on anything that compelled her to think and reflect. Mary was almost childlike in her hunger for truth - especially spiritual truth. Like her sister, Mary felt things deeply. Sometimes those feelings drove her to do things that others could not understand. For example, it was unusual for a woman to sit among men. But Mary did. She sat at the feet of Jesus while He taught His disciples. Lost in the wonder of hearing new truth, Mary seemed oblivious to her critics and did not appear to notice or even care what people around her thought. She found it easy to abandon herself to those she loved, and thrived on the relationships in her life. Relationships with people like the man named Jesus. Mary was brave. To go against the “norm” by daring to be so different and perhaps even live in the shadow of her very successful and highly regarded sister took courage. Mary was human and imperfect. To some, she may have seemed lazy and flighty. Mary is often considered the spiritual one while Martha is thought to be the not-so-spiritual one. We tend to look at their lives and say we should be like Mary. I believe the lives of both women offer invaluable life lessons about balance. God is not the author of confusion nor does He create chaos, setting His children up to drown in the raging seas of burnout and exhaustion. We do a great job of that all on our own. But we can learn important lessons from Mary and Martha, apply them to our lives today, and experience a balance that will help us find a holy life balance. Father, help me learn to cherish and make time to simply sit at Your feet and be in Your presence. Teach me how to discipline my steps and invest my time in a way that pleases You and honors the plan You have for my life. Set aside time this week to spend in solitude. Examine your life in the light of balance. What priorities are obvious? What areas are out of balance? How has this imbalance affected your life? What changes do you need to make in order to live a balanced life of purpose? Need help? 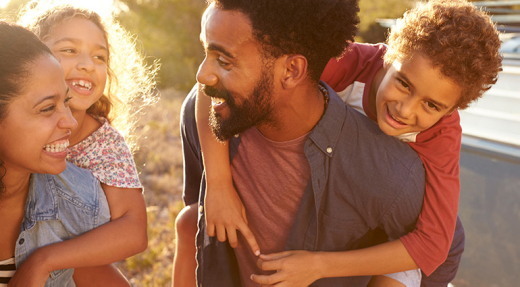 Check out Mary’s E-Bible Study, Time: Friend or Foe that offers three important steps you can take to balance your life. LHM Devotion - January 10, 2018 "Worthy of Fame and Worship"
"Worthy of Fame and Worship"
Blessed be the God and Father of our Lord Jesus Christ! According to His great mercy, He has caused us to be born again to a living hope through the resurrection of Jesus Christ from the dead. Pam and I were standing in the Cairo, Egypt, railroad station when I noticed a lady staring at me and pointing me out to her two-year-old-son. I wondered if she had recognized me as the Speaker on The Lutheran Hour. No such luck. She was laughing as she pointed to my silly looking bare knees in shorts. I should share that it was 100 degrees, and she was covered from head-to-toe in black velvet, and her son was sitting in a galvanized wash tub, which she was balancing on her head. Even so, to her I was the funny one. Who knows, she may have been right. I do know any thought of worldwide fame was left behind at that old railroad depot. I'm not the first. In 1865, Thomas Sayers died. Have you ever heard of him? I thought not. His name might not be familiar to you, but Mr. Sayers, a bare-knuckle boxer, was the most famous athlete of Victorian England. When he died, more than 150,000 people came to his farewell at London's Highgate Cemetery. He once was famous, but now he's forgotten. Fame. Recently, the BBC did a report on how to achieve lasting fame. They came up with advice which, they felt, might increase your chances of being remembered 1,000 years hence. • They suggested things like emulating Alexander the Great of Macedon who took historians with him to record his conquests. Like him, they said you should try to manage your image. • Choose your career wisely. Be a politician who will change people's futures over becoming a composer whose music can easily become unfashionable. • Be lucky like Pharaoh Tutankhamen. Even though King Tut was a minor ruler who accomplished little, his grave was forgotten and left unplundered. Today, he is more famous than the many of the greatest of the pharaohs. Before the BBC article closed, they said, and I quote: "Found a religion, There's mountains of evidence that Jesus Christ, Siddhartha Gautama (also known as Buddha), and many more religious leaders were real people, though they died many millennia ago ..."
Now I can't argue with the BBC. They are right. Jesus, like the others, did die a long time ago. But, unlike the others, Jesus didn't stay dead. Three days after His lifeless body was placed into a borrowed tomb, He rose from the dead and showed to the world that the Father's gracious plan to save humanity was completed. With His resurrection from the dead, the Savior showed that He was unique in the history of the world. Not only should He be famous and worthy of remembering, He should also be worshipped. That's what Peter was saying when he wrote, "Blessed be the God and Father of our Lord Jesus Christ! According to His great mercy, He has caused us to be born again to a living hope through the resurrection of Jesus Christ from the dead." THE PRAYER: Dear Lord, we give thanks that Jesus, the Man, has not been forgotten by the world. Now, by the Spirit's power, may doubters believe in Jesus as God's Son -- their Savior. In Jesus' Name we pray. Amen. Devocional del CPTLN del 10 de Enero de 2018 "Haciendo algo"
De la misma manera, que la luz de ustedes alumbre delante de todos, para que todos vean sus buenas obras y glorifiquen a su Padre, que está en los cielos. Los domingos--qué maravilla para dormir y no hacer nada. Aunque nunca he visto un estudio científico sobre el tema, creo que el no hacer nada es uno de los grandes placeres de la vida. Hay algunas personas que son expertas en no hacer nada, como Melody. No hace mucho, Melody se disfrazó de muñeca de trapo y se sentó sobre una plataforma giratoria. Luego de cinco horas y 43 minutos en los que solamente movió los ojos, de a poco se fue levantando. Melody había logrado vencer la marca mundial de estar sentada quieta. Lo sorprendente es que este evento tuvo lugar en un centro comercial, donde cientos de compradores la observaban hacer... nada. A esta altura no sé qué es peor, si hacer nada o ver a alguien no haciendo nada. Existe una gran cantidad de personas que han tomado clases de Melody... o sea, que han trabajado muy duro para hacer nada, o se mantienen alrededor y observan a otros que no hacen nada. Es fascinante, a la vez que es un gran desperdicio. A cada uno de nosotros Dios nos ha otorgado dones para que los usemos para su propósito. Es posible que hacer nada sea el don de Melody, pero me resulta difícil aceptar que "hacer nada" sea la clase de don que el Señor distribuye en abundancia a las masas. ¿Qué es lo que el Señor realmente quiere de nosotros? Él quiere que su pueblo esté agradecido por su Hijo. Él quiere que valoricemos a quien nos ha salvado del pecado, Satanás y la muerte. Dios quiere que estemos deseosos de hacer que su luz brille, de glorificar al Salvador y de ayudar a quienes nos rodean. ORACIÓN: Amado Padre, ayúdame a vencer la tentación de no hacer nada y enséñame a utilizar mi energía para reflejar tu amor a los que me rodean. Te lo pido en el nombre de Jesús. Amén. А мне хотелось просто посидеть. И хотя какая-то часть меня действительно хотела быть хорошим отцом, я не чувствовал никакого желания служить своей семье. Вот тогда я и увидел благодарственную открытку, которую кто-то в церкви дал моей жене. На ней был изображен таз с водой, полотенце и грязные сандалии. Внизу – слова из Евангелия от Луки 22:27: «Я посреди вас – как служащий». Эти слова Христа о служении людям, которых Он пришел взыскать и спасти (Лк. 19:10), были именно тем, что нужно. Если Иисус был готов выполнить самую грязную работу для Своих учеников, то есть вымыть их перепачканные в пути ноги (Ин. 13:1-17), то и я мог, не ворча, принести своему сыну стакан воды. Я вспомнил, что просьбы моих детей – это не бремя, а возможность отразить служение Иисуса Христа и Его любовь. Когда нас о чем-то просят, будем видеть в этом возможность стать более похожими на Того, Кто послужил нам и отдал за нас жизнь. Господь, иногда нам трудно служить друг другу. Помоги стать более похожими на Тебя и стремиться показать Твою любовь среди многих возможностей для служения, которые появляются каждый день. Божья любовь дает силы для служения людям.